“I will praise you, Lord, among the nations; I will sing of you among the peoples. Happy Tuesday sweet friends! I am glad that you are here today! Everywhere you look, you can see pink, red, and all things Valentines! Have you made your plans for the holiday of love? Our tradition is to eat at home to avoid the crowds…it makes for a nice little romantic evening, just the two of us! Typically on Valentine’s Day our table is set for two, but today you are invited to join our softer side of Valentine’s table set for six! 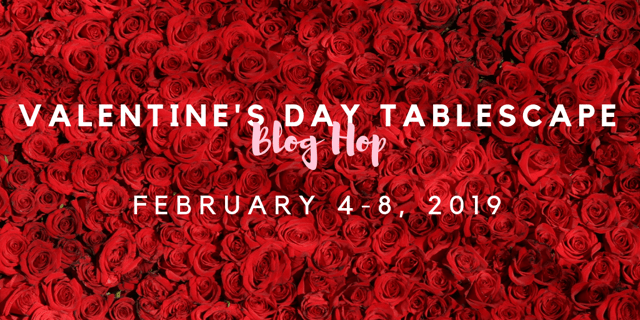 And you are in for a real treat…I am joining twenty three bloggers to bring you a Valentine’s Day Tablescape Blog Hop! The lovely Chloe of Celebrate & Decorate is our hostess and you will find loads of inspiration for your Valentine’s table! You can find the links at the bottom of this post. If you have been following Everyday Living for a while, you will notice this tablescape is quite different for me. I always use lots of red for Valentine’s Day, but I used softer colors with pops of red for a little drama. The centerpiece is also different than what I normally would do. 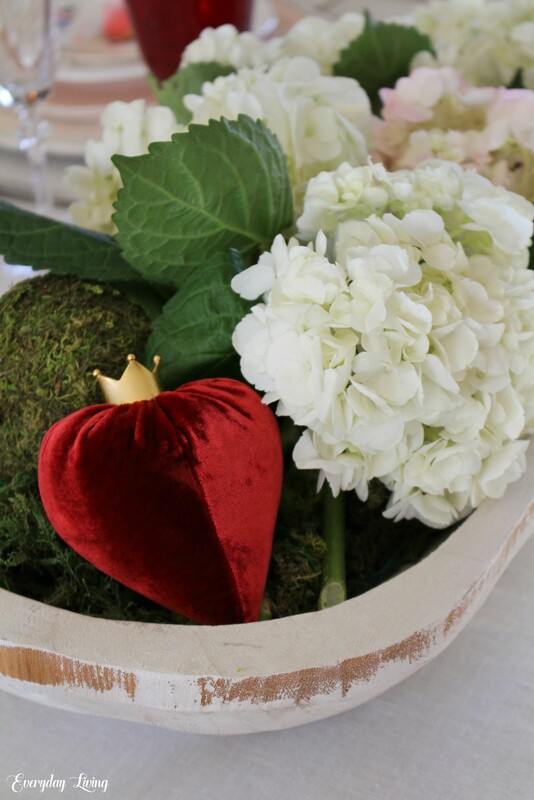 I filled a dough bowl with moss and added blush and white hydrangeas and the petite red velvet heart made by Hot Skwash. I love its tiny golden crown! 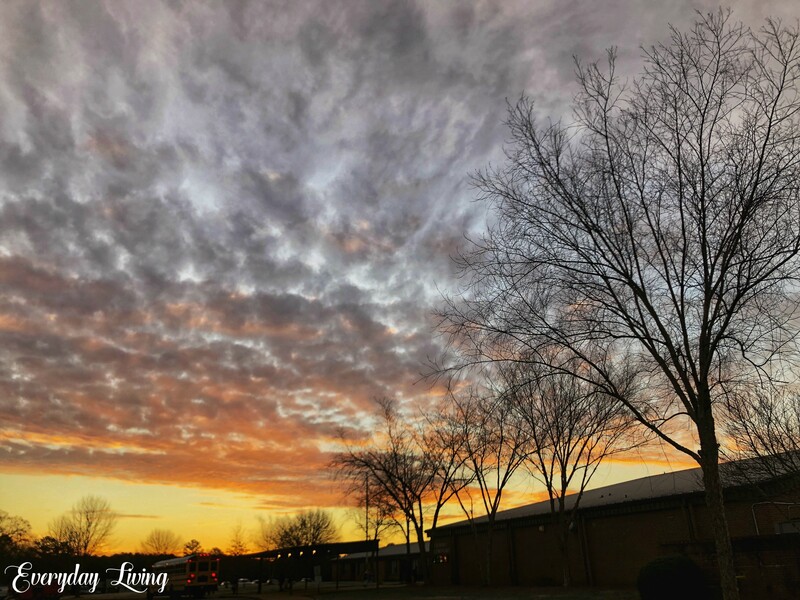 Happy Tuesday sweet friends…hopefully you all are staying warm and cozy inside on this chilly winter day! 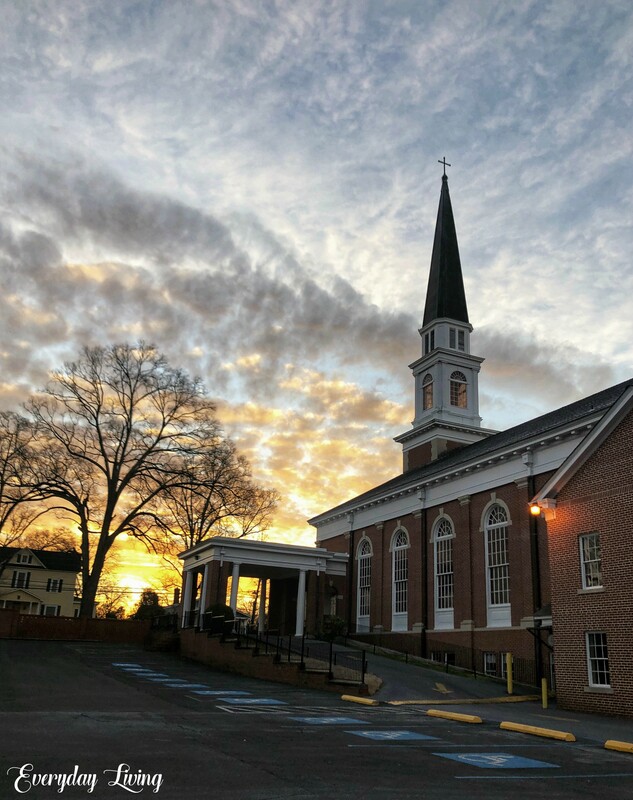 Here in the Deep South, the excitement is at an all-time high…we are expecting snow! When James Spann (our weather man) starts talking about the “white stuff”, everyone gets frantic and rushes to the grocery stores to buy milk and bread! Do any of my Southern friends know why these two items get paired together when snow is in the forecast? I have never been able to figure out why…maybe milk sandwiches!?! If the forecast is correct and we do get snow, it should be here by the time you guys read this! It’s a rare occurrence for us in the South, so we get a little excited! 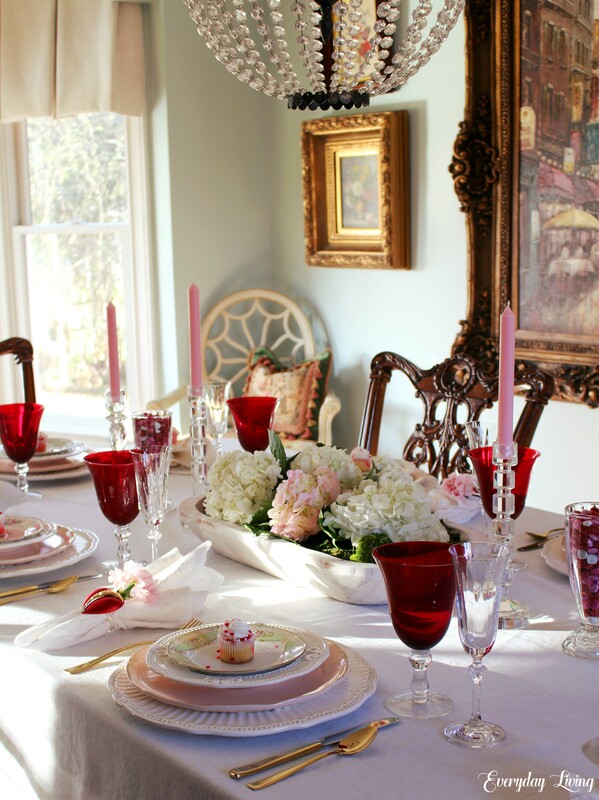 Today’s tablescape is giving a nod towards Valentine’s Day, with Toile Pink and Roses stealing the show! Come on in where it is warm and pull up a chair! 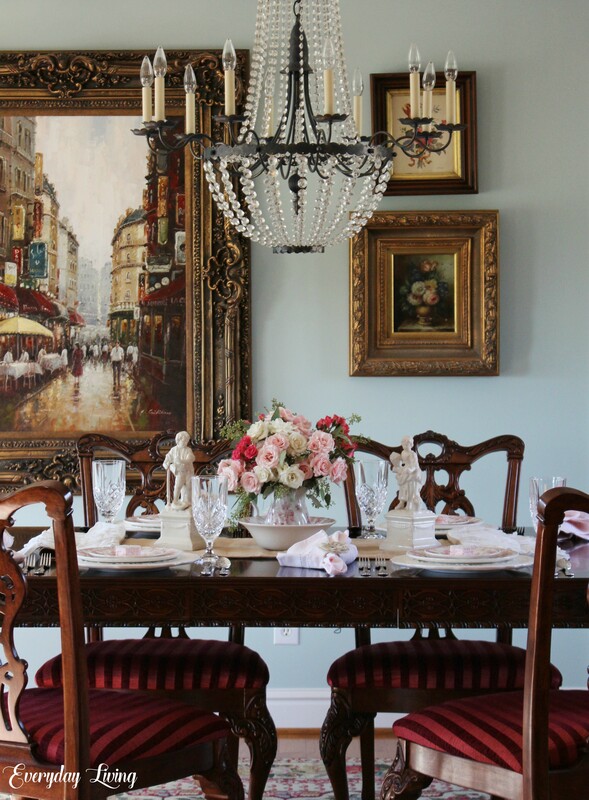 My dining room has taken on a completely different appearance as it went from a favorite shade of red called Mediterranean Spice to a soft Palladian Blue. I am loving the change.